All New Buddy Design for Roar VBS 2019! This item contains enough buddies for 10 kids. Each package contains "10 buddy sets", with each set consisting of 5 memory buddies for each day of VBS. Every kid will get one buddy for each day at VBS. Dramatically increase your VBS impact by equipping kids to share their faith with a set of multifunctional Bible Memory Buddies. Each custom-designed play piece features a Buddy on the front, plus the daily Bible Point and verse on the back. Do whatever else their imaginations come up with! All-new packaging separates the Buddies by day for easier distribution for VBS volunteers and leaders. Bible Buddy Intros are on the Sing and Play Castaway Music DVD. Sold in the kit. Our staff loves that Group's Roar Bible Memory Buddies are intentionally designed for many purposes. We highly recommend this product because your students will be able to engage with it through every step of their VBS - during rotations as the Bible Point is taught, as they go deeper in the lesson with the Roar Some More Bible Book at home and when they play and engage with the Roar Bible Buddies mobile app. 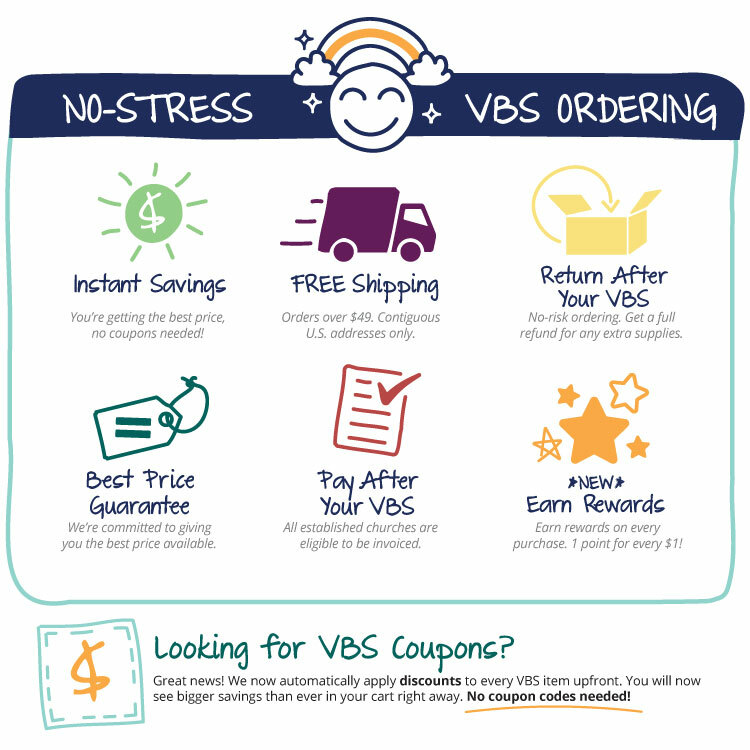 This is the most affordable and effective tool to include in your Roar VBS!